Malefor's attacks will alternate between a single fireball and a burst of several. As they get close simply roll out of the way. Get close to Malefor and attack him with both your melee and elemental attacks, he should give off plenty of gems to help you. Dodge occasionally when he swipes or breathes a purple breath and keep on hitting him. Each time he zooms off just fly over to his new location and resume the attack. Once his health bar is depleted you'll start a quick time event. Jump and then light melee to avoid Malefor's attacks. If you fail you'll just need to redo a bit of health and try the quick time event again. There'll be a brief cutscene and we continue. Much the same as the previous section. Fly over to Malefor and continue the assault. He's got a new purple attack very similar to the multi-fireballs but they seek you out a bit better. Roll to dodge them a couple of times. Another new attack is an Ice one, it's quite strong so make sure to avoid it, it doesn't seek you out but it does have a wide spread when it detonates. Same as before, once the health bar is depleted it's quick time event time. Jump to dodge his punch, jump again, light melee and then rapidly tap heavy melee. Again failure just adds a bit of health back and you try again. It's not over yet, he'll cast a purple bubble around himself which will now protect him from all your attacks. Well, nearly all. Keep attacking the bubble with your melee until your Fury Meter is full. Activate your Fury and finish him off. Rapidly tap light melee to activate a purple burst from Cynder and then a light melee from Spyro to hit Malefor. Rapidly jump to get away from Malefor's grasp and then finally hit heavy melee to complete the fight and the game. I miss spelled Cynder idk why my iPad does this. Malefor was the most hardest enemy boss ever but when I kept hitting him his health went down surprisingly fast cause he gave green gems for mana sk I use element the hit him. Funded can finish him off quickly with maxed up fear. I remember when I got stuck on this level. I had just finished floating islands and I went on to Malefore's lair. I watched the cutscene and started the battle. When I used some of my elements the mana bar went out and so did Cynders. I was like OH CRAP! Then after half a year I remembered that you can hit him. Thats how I completed malafore's lair! It just got to Spyro.But I know how to do it. nikola you need a last bit of armor to activate the fury element on both dragons. I managed it even though I had little life and energy. P. S. hurts my finger on it. 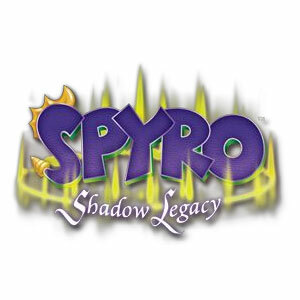 He is probably the most difficult boss in all of spyro gaming history!!! :volter: cyril: terrador: or ?